Download and print your RxSpark card and keep it in your wallet so you can save every time you fill a prescription at your pharmacy. What is Pain Reliever Extra Strength? USES: This drug is used to treat mild to moderate pain (from headaches, menstrual periods, toothaches, backaches, osteoarthritis, or cold/flu aches and pains) and to reduce fever. HOW TO USE: Take this product by mouth as directed. Follow all directions on the product package. If you are uncertain about any of the information, consult your doctor or pharmacist. There are many brands and forms of acetaminophen available. Read the dosing instructions carefully for each product because the amount of acetaminophen may be different between products. Do not take more acetaminophen than recommended. (See also Warning section.) If you are giving acetaminophen to a child, be sure you use a product that is meant for children. Use your child's weight to find the right dose on the product package. If you don't know your child's weight, you can use their age. For suspensions, shake the medication well before each dose. Some liquids do not need to be shaken before use. Follow all directions on the product package. Measure the liquid medication with the provided dose-measuring spoon/dropper/syringe to make sure you have the correct dose. Do not use a household spoon. For rapidly-dissolving tablets, chew or allow to dissolve on the tongue, then swallow with or without water. For chewable tablets, chew thoroughly before swallowing. Do not crush or chew extended-release tablets. Doing so can release all of the drug at once, increasing the risk of side effects. Also, do not split the tablets unless they have a score line and your doctor or pharmacist tells you to do so. Swallow the whole or split tablet without crushing or chewing. For effervescent tablets, dissolve the dose in the recommended amount of water, then drink. Pain medications work best if they are used as the first signs of pain occur. If you wait until the symptoms have worsened, the medication may not work as well. Do not take this medication for fever for more than 3 days unless directed by your doctor. For adults, do not take this product for pain for more than 10 days (5 days in children) unless directed by your doctor. If the child has a sore throat (especially with high fever, headache, or nausea/vomiting), consult the doctor promptly. Tell your doctor if your condition persists or worsens or if you develop new symptoms. If you think you may have a serious medical problem, get medical help right away. WARNING: Taking too much acetaminophen may cause serious (possibly fatal) liver disease. Adults should not take more than 4000 milligrams (4 grams) of acetaminophen a day. People with liver problems and children should take less acetaminophen. Ask your doctor or pharmacist how much acetaminophen is safe to take. Do not use with any other drug containing acetaminophen without asking your doctor or pharmacist first. Acetaminophen is in many nonprescription and prescription medications (such as pain/fever drugs or cough-and-cold products). Check the labels on all your medicines to see if they contain acetaminophen, and ask your pharmacist if you are unsure. Get medical help right away if you take too much acetaminophen (overdose), even if you feel well. Overdose symptoms may include nausea, vomiting, loss of appetite, sweating, stomach/abdominal pain, extreme tiredness, yellowing eyes/skin, and dark urine. Daily alcohol use, especially when combined with acetaminophen, may damage your liver. Avoid alcohol. What if I miss a dose of Pain Reliever Extra Strength? MISSED DOSE: If you are taking this medication on a regular schedule and miss a dose, take it as soon as you remember. If it is near the time of the next dose, skip the missed dose. Take your next dose at the regular time. Do not double the dose to catch up. SIDE EFFECTS: See also Warning section. This drug usually has no side effects. If you have any unusual effects, contact your doctor or pharmacist promptly. If your doctor has directed you to use this medication, remember that he or she has judged that the benefit to you is greater than the risk of side effects. Many people using this medication do not have serious side effects. A very serious allergic reaction to this drug is rare. However, get medical help right away if you notice any symptoms of a serious allergic reaction, including: rash, itching/swelling (especially of the face/tongue/throat), severe dizziness, trouble breathing. This is not a complete list of possible side effects. If you notice other effects not listed above, contact your doctor or pharmacist. In the US - Call your doctor for medical advice about side effects. You may report side effects to FDA at 1-800-FDA-1088 or at www.fda.gov/medwatch. In Canada - Call your doctor for medical advice about side effects. You may report side effects to Health Canada at 1-866-234-2345. DRUG INTERACTIONS: See also Warning section. Drug interactions may change how your medications work or increase your risk for serious side effects. This document does not contain all possible drug interactions. Keep a list of all the products you use (including prescription/nonprescription drugs and herbal products) and share it with your doctor and pharmacist. Do not start, stop, or change the dosage of any medicines without your doctor's approval. A product that may interact with this drug is: ketoconazole. This medication may interfere with certain laboratory tests, possibly causing false test results. Make sure laboratory personnel and all your doctors know you use this drug. PRECAUTIONS: See also Warning section. Before taking acetaminophen, tell your doctor or pharmacist if you are allergic to it; or if you have any other allergies. This product may contain inactive ingredients, which can cause allergic reactions or other problems. Talk to your pharmacist for more details. Before using this product, tell your doctor or pharmacist your medical history, especially of: liver disease, regular use/abuse of alcohol. Liquid products, chewable tablets, or dissolving/effervescent tablets may contain sugar or aspartame. Caution is advised if you have diabetes, phenylketonuria (PKU), or any other condition that requires you to limit/avoid these substances in your diet. If you have any of these conditions, ask your doctor or pharmacist about using these products safely. Tell your doctor if you are pregnant before using this medication. Acetaminophen passes into breast milk. Consult your doctor before breast-feeding. Prescription prices may vary from pharmacy to pharmacy and are subject to change. The pricing estimates given are based on the most recent information available and may change based on when you actually fill your prescription at the pharmacy. The day supply is based upon the average dispensing patterns or the specific drug and strength. The Program, as well as the prices and the list of covered drugs, can be modified at any time without notice. Commonly used to treat postoperative ocular inflammation. Commonly used to treat type 2 diabetes mellitus. Commonly used to treat type 1 diabetes mellitus. If you need to take prescription medication such as Pain Reliever Extra Strength over an extended period, buying a larger quantity could save you time and money. Many drugs, including Pain Reliever Extra Strength work out cheaper per pill or dose when purchased in volume. Speak to your doctor about increasing the your prescription and you could pay less for drugs and need fewer trips to the pharmacist. Drug prices are not regulated, so the price Pain Reliever Extra Strength of medication may vary significantly between your local pharmacies. Online pharmacy comparison shopping is the simplest way to quickly discover which retailer has the lowest prices for your prescriptions. Enter the name of your prescription, for example Pain Reliever Extra Strength, into the search box, add the zip code and click to browse prices and coupon offers. When you have found the cheapest price, print or save the coupon and and take it in to your chosen pharmacy. Comparing prices can save you up to 75 percent on your prescriptions. Patient assistance programs offered by drug manufacturers can help you save money on your prescriptions. Many drug manufacturers have such a program, offering discounts to eligible patients who are prescribed Pain Reliever Extra Strength. Patients prescribed expensive or branded medication may qualify for discounts through such programs. Click here to find out more about patient assistance programs. Pain Reliever Extra Strength and other branded drugs often have a generic equivalent on the market at a significantly lower price. Generics account for around 8 out of 10 prescriptions filled in the US and are identical their brand name counterparts in quality, safety, strength, dosage form, route of administration, performance characteristics and intended use. Talk to your pharmacist or doctor about safe generic alternatives to your branded prescription. Seniors with Medicare Part D may be entitled to discounts on Pain Reliever Extra Strength and other prescriptions through their policy. The list of drugs covered varies from plan to plan, so check your provider’s website for more information. 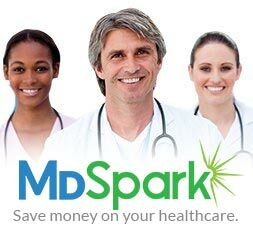 Click here to find out more about RxSpark and Medicare Part D.
Medication plays a vital role in treating a huge number of conditions, but there may be other therapies, lifestyle changes or surgical options open to you. If you have concerns about prescription costs, or are considering a different approach to your therapy, speak to your doctor to explore alternatives to medication.